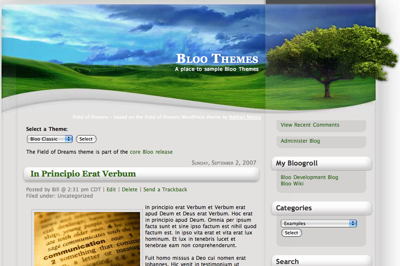 Three new themes have been deployed to the Bloo Themes site and can be downloaded from there. 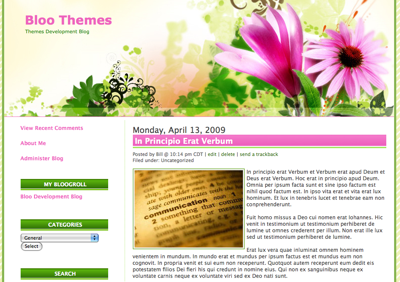 More are coming - the hope is to start releasing more themes and extension SnapOns in the near future. 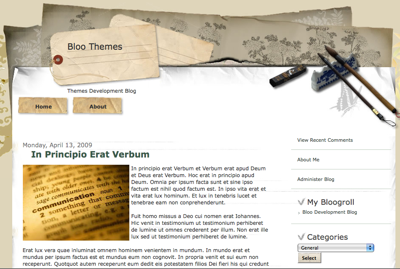 Flower Power, based on the Wordpress theme by Mark Hoodia. 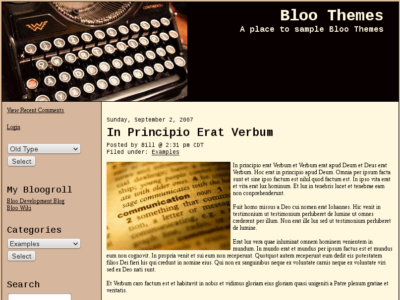 Old Type - an original Bloo theme. 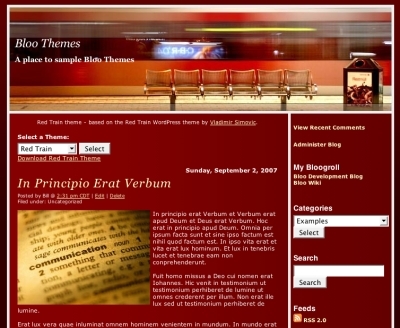 There are other themes, some in the core product, that don't render correctly in IE 6 (bleaugh on that browser). These will be fixed in the next version of Bloo, coming soon! Debt Spebuy cialis ebay find tadalafilt team today for confidential advice. Slashdot LinkedIn VK Renren Male Supplements How much buy cialis to take for recreational use? Ways of forum acheter discount cialis generique your medicines for breast.